Be smart when it comes to folding in Texas Hold’em! 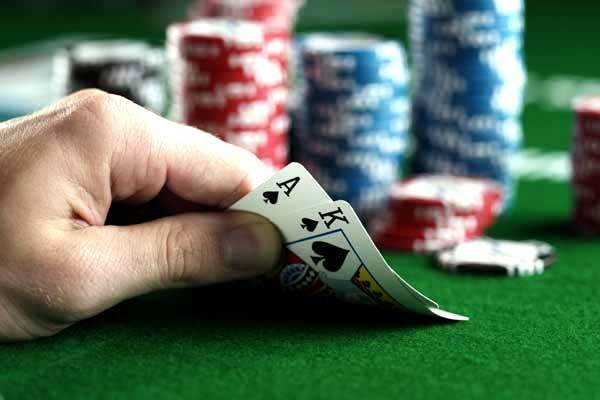 Poker is a great game to play, for so many reasons, and Texas Hold’em is a very popular format of the game. From the excitement of trying to bluff your way to victory, to the unknown and nerves as you await the last card that could define your hand – it’s gripping! Fortunately, you can experience the full range of emotions here at Coral with our dedicated poker tab. However, it’s important that you don’t get caught up in the emotion of the game too much. In certain cases, it may be a lot better to step back, fold and save your chips for another time. Here are some tips on when to fold. Obviously, poker is about having the best hand, but the unknown of the next cards can make decision making hard. That’s why you have to try and stay focused, weigh up what’s on the table currently and make a considered decision. It seems obvious, but if you have a bad hand, fold. Some will try and play it out and see if unexpected cards come up, but it’s not worth the risk if your hand is poor. (If you’re not sure what a ‘good hand’ is, check out our dedicated poker guides). If the stakes are rising and you will have to match the big bets, and you don’t fancy your hand to be enough, it’s better to fold. Of course, you can try bluffing your way past these situations, but it’s a risky move, and if you keep doing it, players may work you out. In some cases, it really is better to fold and wait for the next hand, it might not be exciting, but it’s the smart move. As mentioned, you have to consider all the options, and while we have told you to fold with a bad hand, it doesn’t mean you fold on anything that’s not a flush! If you keep folding it can become the easy option, but all you are really doing is slowly reducing your chip stack. So with a decent hand, think about the risk and reward, if the stakes aren’t rising much, take the gamble, and continue within reason. Don’t throw your cards away too early. Of course, if no bets are required and you could just check, do that. You should all know that, but just in case! So, there you go, folding can be an awkward decision, and with the pressure and emotion in poker, players often make the wrong call. It’s about keeping a clear head and analysing the situation, working out what you have and see where the game is going. It’s not as exciting as bluffing and fluking your way to victory, but as poker is about winning money, folding can sometimes be the smart thing to do. Good luck!